Some 4,000 years ago, there was a brutal and destructive war in the region of Sodom and Gomorrah. The fighting took place in the vicinity of the Dead Sea where Sodom and Gomorrah were located. That would be in the southern part of Canaan or today’s southern region of Israel. And the word “slaughter” is used in the Bible for this war. The armies of Elam which would be current day Iran and their allies, the armies of Babylon, today’s Iraq, and armies from Canaan, slaughtered the armies of Sodom and Gomorrah and their allies. But the Kings of Sodom and Gomorrah escaped the slaughter by hiding themselves in slime pits. When the victorious armies of Elam and their allies had defeated Sodom and Gomorrah and their allies, they took captive Abram’s nephew Lot, his wife, and their family, and all those with him and their goods. And when Abram heard of this, he armed his 318 servants who were born in his house and set out to rescue his family. And the Bible says,”Abram pursued those armies to Dan,” well north of Sodom and Gomorrah. And amazingly and supernaturally, Abram and his servants defeated this mighty army. The Bible also says, “The King of Elam and the other three Kings along with their armies were slaughtered,” in a town called Habah which is north of Damascus in Syria. And Abram successfully rescued Lot and his family and those people with them, and all their goods. Abram and his servants slaughtered those armies and their Kings.. This event is similar to that of David and Goliath. The Valley of Shaveh or the Valley of the King may have been in a valley north of Jerusalem. But before their meeting, we read of another get together. Melchizedek means King of Righteousness. Righteousness means, Law abiding, living according to the Laws of God. Melchizedek was a King and a Priest of The Most High God, El Elyone. A Priest is one who serves God. He speaks for God to the people. And he speaks to God for the people. Some Jewish Sages believe Melchizedek is Shem, Noah’s son. That is not true according to Scripture. Others believe Melchizedek was the King of Jerusalem. Again, not true according to Scripture. Melchizedek is God. He is Yeshua the Messiah Who Himself is God, El Elyone, The Most High God. Melchizedek was the One Who appeared earlier to Abram and Abram knew Who Melchizedek was. God. Messiah Yeshua is compared to Melchizedek being a Priest forever, because Yeshua is Melchizedek. Psalm 110. 1-4 focusing on verse 4.
is only One God. John 17. Verse 4 After the order of Melchizedek. Order meaning, The way of life. Messiah is like Melchizedek because He is Melchizedek. Zechariah 6.12-13 speaks of One in the Millennium Who is both King and Priest. That King and Priest is Yeshua. Verse 12 The Branch – In Hebrew Stzay makh – Is another title for the Messiah Yeshua. Grow up out of His Place. beginning of the Messianic Era, the 1,000 year millennium. His Place, I believe is Heaven, His return. Verse 13 Bear the Glory – Have the Honor, Majesty and Beauty, etc. of God because Messiah is God. Rule in Hebrew is Mah shall, Meaning Rule, Reign, have Power. Person, the Messiah and there shall be peace forever from that day forward. Let’s continue on this theme of Melchizedek Who is King and Priest of The Most High God. Melchizedek should be our example for Believers in Yeshua the Messiah on how we should lead our lives. Why? Because He is the King of Righteousness. Righteousness means being right with God, and that can only be accomplished by being Law abiding, that is obeying the Lord God and His Law of Moses. The Priest of God serves God, and we as Believers in Yeshua are Priests of God. We serve the Living God. And to serve the Lord our God correctly and according to the requirements of God, we must be obedient to Him. We must obey the Law of Moses, the Torah. And the eternal gift for Believers in Yeshua the Messiah, those who serve God correctly by loving Him and obeying Him, is eternal life in Heaven where we will serve Him also as Kings and Priests. There is a condition set forth for us to be A Chosen Generation, A Royal Priesthood, A Holy Nation and A Peculiar or Special People. That condition is obedience to the Lord God and His Law of Moses. He has called you out of darkness which is sin, and sin is breaking the Law of Moses, 1 John 3.4. Into His marvelous light which is Belief in Messiah and obedience to Torah, the Law of Moses. The Chosen Generation of God obey God, Deuteronomy 7.6-9. Being a Royal Priesthood and Peculiar People require obedience to God and His Law of Moses, Exodus 19.5-6. Being a Holy Nation requires obedience to God. Deuteronomy 28.9. Melchizedek, the King of Righteousness, is Messiah Yeshua and we will see Him Face to face in the Millennium, reigning forever, and we will reign with Him, forever. The bread and wine, I’m sure, is prophetic. Melchizedek Who is Yeshua the Messiah, prophesied of His future death some 2,000 years later bringing in the New Covenant that is our atonement for our sins. Owner and Creator of Heaven and earth. The Believer in Messiah Yeshua, who like Abraham, is obedient to God and His Law, is also blessed mightily by the Most High God. God blesses us abundantly with every Spiritual blessing, i.e., Eternal life, forgiveness of sins, our being righteous, our being future Kings and Priests, etc. This was a supernatural victory given to Abram by the Most High God. Tithes Abram gave to Melchizedek was from the booty taken by Abram in the war. The enemy of Abram stole his family and was cursed and slaughtered. negative position Washington takes in their policies toward and against Israel. The persons – Lot and his family and thoses with him. The goods – The spoils of war taken from Sodom. Thread or a sandal strap. No, not a thing because you will say, I made Abram rich. Abram’s words. I will give you back all your goods that were stolen by your enemies, the Kings of Elam, Babylon and Canaan except that which my servants have eaten, and the portion of the loot belonging to the men who came with us, Aner, Eschcol and Mamre. So who is Melchizedek King of Salem and Priest of the Most High God? Melchizedek is Yeshua the Messiah Who Himself is God, El Elyone, God Most High, Creator of Heaven and earth, King of Peace and King of Righteousness. Yeshua is Melchizedek. Abraham was a man of courage and a powerful warrior. This account in Genesis chapter 14 that the Lord God gave to Moses, proves just that. These events in this chapter took place some 4,000 years ago and may also give us a glance into the future, into the end of the end days when all the armies of all the Nations of the world will attack Israel, and the slaughter that’s in store for them. That is the destruction that’s in store for the Nations that attack Israel. Who are these people and who are these Nations? Amraphel was the King of a region around Babylon, today’s Iraq. Shinar was north of the Euphrates River. Arioch, King of Ellasar, in Hebrew, Elsahr. Arioch was also a King of a region near Babylon. Chedorlaomer, in Hebrew, Keh dar lah oh mer was the King of Elam. Elam was a region in Persia, today’s Iran. Tidal, King of Nations. Tidal was a Canaanite, Hittite King. Perhaps a ruler of a nomadic people in Canaan with no permanent country moving from place to place. These four Kings and their armies from Babylon, Persia, today’s Iran and Canaan made war with five Kings from the Sodom and Gomorrah region. Sodom, in Hebrew Seh dome means, Scorched and burned. Sodom was near the Dead Sea in the Valley of the Jordan River. The Bible says that Sodom and Gomorrah was a beautiful land, even as the Garden of the Lord. Genesis 13.10. But it’s people were wicked and ungodly. Birsha, King of Gomorrah. Birsha in Hebrew is Beer shah, in Hebrew meaning, In wickedness, ungodly. Gomorrah, in Hebrew is Ah moe rah, meaning, A ruined heap. Gomorrah was near Sodom by the Dead Sea. Shinab, King of Admah. Admah was a Canaanite city near the Dead Sea in the region of Sodom and Gomorrah. Shember, King of Zeboiim was a place in Canaan. The King of Bela which is Zoar. Zoar in Hebrew means Little and you might remember Zoar as the city where Lot and his two daughters escaped to after the Lord destroyed Sodom and Gomorrah. Bela, as in the King of Bela, means Destruction and devouring. Bela or Zoar was a city in the region of Sodom and Gomorrah. The battle took place in the Vale of Siddim or in the Valley of the Salt Sea which is the Dead Sea. The Dead Sea is at the southern end of the Jordan River, the boundary dividing Israel and Jordan today. The northern part of the Jordan is the Galilee. So the armies from Persia (Iran), Babylon and the nomadic Canaanites defeated the armies of Sodom and Gomorrah and their allies and were subject to the Persian King and his allies for twelve years. In the thirteenth year they rebeled against the Persian King Keh dar lah omehr. And the slaughter was on. The Persian crowd slaughtered the Rephaim who were giants in Ashteroth Kernam, a city in Bashan in Canaan. And the Zuzim in Ham. a Canaanite people. And the Emim in Shaveh, also a Canaanite people. And the Horites in Mount Seir, somewhere near the Dead Sea. To El Paran. They slaughtered all these people in and around the Dead Sea and Sodom and Gomorrah region. And the Persian armies and their allies returned and killed the Amalakites and Amorites in Canaan. The Sodom and Gomorrah armies and their allies were slaughtered. Genesis 14.10 The Vale of Siddim is the Valley of the Dead Sea. Slime Pits – Something like asphalt or cement which would boil up from inside the earth, then harden from the sun’s heat. The Kings of Sodom and Gomorrah were overthrown and defeated and they threw themselves into the slime pits. The rest of the armies fled into the mountains. And the Persian armies and their allies took all the goods and provisions of Sodom and Gomorrah and went their way. Let’s stop here for a minute and read what Peter writes about Sodom and Gomorrah being an example to those who lead an ungodly life. Ungodly means being disobedient to God, His Word and His Law of Moses. Those in Sodom and Gomorrah lived ungodly lives, not obeying the Laws of God in their time. And the invading armies took Lot, Abram’s nephew who lived in Sodom, and all those with him, and everything they owned. Now what follows is an incredible account about Abraham, a gentle and Godly man, but also a courageous and mighty warrior. And the awesome power of God. Confederate with Abram means they were allies and joined together. Abram armed his 318 trained servants, born in his own house and chased four powerful armies from Persia, Babylon and Canaan to Dan. Dan was a future region in Israel northwest of Jerusalem. God gave Moses the location where Abram chased those armies. And these murderous armies ran from Abram and his 318 armed servants. Abram divided his men and they attacked during the night from different directions. And Abram defeated those armies and chased them north of Damascus, Syria. And he brought back Lot and all his family, and all those with him and all their goods. This is an intriguing story. Abram and his 318 servants defeated four very powerful and murderous armies. What I find interesting is that Scripture is silent as to how Abram and his 318 servants defeated these armies. Of course it was supernatural. The Lord God Himself defeated them. And this is a preview of what will happen when all the armies of the world attack Israel, a country smaller in size then New Jersey, at the end of days. God will destroy all those nations as He did the enemies of Abraham. It has happened in other battles in the Scriptures. Gideon with his 300 men defeated the Midianite armies. Judges 7. Jehoshaphat and his armies didn’t even have to fight and the Lord defeated the armies of Moab, Ammon and Mount Seir. 2 Chronicles 20. And in the end of days, when the armies of the world attack Israel, God Himself, the Messiah Yeshua at His return, will destroy them also. Zechariah 14. And we will stop here and continue next week with Melchizedek, in Hebrew Mal kee tzeh dek, King of Righteousness, and discover who He is. I believe in summarizing this teaching, it all points to what Peter wrote in 2 Peter 2.6-7. Sodom and Gomorrah are examples for us. We should live a Godly life as Believers in Yeshua the Messiah. A Godly life is being obedient to God and His Law of Moses, the Torah. Deliverance and Salvation come to those who are Godly. To those who love God and Messiah and keep His Law of Moses. Today, well actually starting at sundown yesterday, is when Shavuot started, and ends at sundown today. Shavuot in Hebrew means Weeks because it occurs seven full weeks after the “Morrow of the Sabbath”. And the festival of Shavuot is also called Pentecost meaning 50th. Now the spiritual significance of Shavuot or the reason the Lord God commands all mankind, and I repeat, all mankind to observe Shavuot every year, has at least five important requirements of the Lord God. 1/ Shavuot teaches us to be obedient to the Lord our God, to His Word, His Laws and His Commandments. 2/ Shavuot also teaches that everyone, Jewish or not Jewish requires an atonement for forgiveness of our sins, to be right with God. 3/ Shavuot is a Day for all mankind to set aside special and quality times that is dedicated to the Lord our God at a Service, or a gathering of the people. 4/ Shavuot is a Sabbath. No work of any kind should be done. 5/ Shavuot was the time when thousands of Jewish People, the early Believers in Messiah Yeshua, received The Holy Spirit and led their lives according to God’s Torah, The Law of Moses. This morning our teaching on Shavuot will be in two areas. -How does Judaism observe Shavuot today? -What are God’s Commandments to observe Shavuot? We’ll start with a controversy in Judaism. The controversy is this. When Is the exact day and date of Shavuot? The controversy is, What Sabbath is the Lord referring to? That Sabbath could be the Saturday before Passover. It could be the first day of Passover because the first day of Passover is a Sabbath. Or the Sabbath could be the seventh day of Passover because the seventh day of Passover is also a Sabbath. The Pharisees maintained the Sabbath as in, You shall count from the next day after the “Sabbath,” means the Sabbath was the first day of Passover. Thus they claim, the count to fifty or to Shavuot started the day after the first day of Passover. To add to this debate, the Sadducees had another understanding as to when the Sabbath was. And the Samaritans and the Karite Jews joined in with them later. They maintained the next day after the Sabbath was Sunday, or the first Sunday after the first day of Passover. The count to Shavuot started on Sunday after the Saturday Sabbath after the first day of Passover. Beta Israel, which is the House of Israel or the Ethiopian Jews, saw the next day after the Sabbath as the day after the seventh day of Passover. Thus, they started the count to Shavuot the day after the seventh day of Passover. The interpretation of the Pharisees was accepted and is the standard in much of Judaism today. So now that I have you thoroughly confused, let’s continue. Judaism believes Shavuot commemorates the giving of the Torah or the Ten Commandments at Mount Sinai. Yet Shavuot was to be given to the Children of Israel at a future date. Now, with all these disagreements as to the exact date of Shavuot, how can they all be right? 19. 1 The third month on the Jewish calendar is Sivan. 19. 16 If the count to 50 or to Shavuot started on The Day After the Sabbath Before Passover, then the Torah would have been given on Shavuot, at least this year. Continuing on how Judaism observes Shavuot. Shavuot is a time of thanksgiving for the early spring harvest. Two loaves of leavened bread, usually challahs, are baked and eaten in all Jewish households. In Temple times, that is during the first and second Temples, two loaves of leavened bread were brought into the Temple, and with much ceremony, waved by the Priest in every direction before the Lord to show appreciation for all His provision for His People. The Synagogues are usually decorated in greenery and flowers and baskets of fruit to symbolize the harvest mood of Shavuot. The Scripture readings in the Synagogues are often Exodus chapters 19 and 20, the giving of the Ten Commandments at Mount Sinai. Ezekiel chapter 1, Ezekiel’s vision of God and His magnificence, and the Book of Ruth, David’s great grand mother and an ancestor of Messiah Yeshua. Ruth is read because it takes place during the spring harvest. Many Jewish men who love Torah, stay up all night studying on Shavuot. Also many Synagogues hold Confirmation Services for teenagers on Shavuot. I have to tell you the truth, I had to look up what a Confirmation was for a Jewish teenager. The Confirmation is something relatively new and different in Judaism. It was introduced in 1810 in Kassel, Germany as a Reform alternative to Bar Mitzvah for the thirteen year old. It is a rite of passage for the sixteen year old teenager. It was felt to be more in keeping with the times as a sixteen year old was closer to adulthood. Today, Confirmation is practiced in Reform and Reconstructionist Judaism and somewhat in Conservative Judaism. Back to Shavuot. At home, the holiday table is set with the best linen and dishes. Holiday candles or Yom Tov candles are lit by the woman of the house. Traditional prayers and blessings are chanted over a cup of wine or kosher grape juice, called the Kiddush. And the challah bread is then blessed and shared by all. A traditional holiday meal with foods symbolizing Shavuot is then served, which would include milk products, cheese blintzes, and cheesecake. Now, that should fill just about everybody. That would be much of the Jewish observance of Shavuot. Now, let’s look at the Commandments of God regarding Shavuot. Leviticus 23 records all God’s Festivals or all God’s Appointed Times for all mankind and not just Judaism. Why? Because Leviticus 23.2 says, Theses are the Appointed Feasts of the the Lord. God’s Appointed Times or Feasts are His Seventh Day Sabbath which is Saturday. Passover, Shavuot or Pentecost, Rosh Ha Shannah or The Blowing of Trumpets, Yom Kippur, The Day of Atonement, Tabernacles or Sukkot, and the Eighth Day of Sukkot. The Sheaf offering is the Omehr or the Wave Offering – A measure of newly harvested barley or grain of the new harvest. A new meat offering is a bread offering to the Lord. In Hebrew, Meenkha Khadahshah LahYehhovah. We should have two loaves of leavened bread, either in our house or at our Service. Usually the breads are challahs. 2/10 deals of a measure of fine flour. The two loaves of bread were the first fruits to the Lord or a new grain offering. Everyone, Jewish or not Jewish, is required by the Lord God to have atonement for forgiveness of their sins to be right with God. Sin is breaking God’s Law of Moses. 1John 3.4. Sin must be forgiven and we must lead a life of obedience to God’s Law of Moses to be written in God’s Book of Life to enter into the Kingdom of Heaven. As there is no Temple in Jerusalem today, animal sacrifices are forbidden. Our atonement for sin is the atoning death of the Messiah Yeshua. It is His atoning death that forgives us our sins, forever. We must however lead a life of obedience to God’s Law of Moses. That is Scriptural. The Writer of Hebrews repeats the words of the New Covenant given to the Prophet Jeremiah in Jeremiah 31.31-34 given for Israel and all the world. Yeshua is the New Covenant for the forgiveness of our sins. Shavuot is a Sabbath and our time should be set aside for the Lord our God in a Service dedicated exclusively to Him and Messiah Yeshua. Shortly after Messiah gave His Life as our atoning sacrifice, and ascended into Heaven; on the following Shavuot or Pentecost, thousands of Jewish People received Messiah Yeshua, and The Holy Spirit. They were Baptized, and they adhered to and obeyed and continued in the Law of Moses, The Laws of God, the Apostle’s Doctrine. -Shavuot teaches us to obey God. His Word, His Law and His Commandments. -Shavuot teaches us all humanity requires atonement for our sins to be right with God. Sin is breaking the Law of Moses, 1John 3.4. Our atonement today is Yeshua the Messiah. -Shavuot is a Day to set aside quality time for our God and Messiah. Shavuot is dedicated especially to Him. -It is a Sabbath. No work of any kind should be done on Shavuot. -And Shavuot was the time thousands of Jewish People, the first Believers along with the Disciples of Messiah, received Messiah Yeshua and The Holy Spirit and lived their lives in accordance to the Law of Moses, The Laws of The God Of Heaven. Earlier, the Lord had commanded Abram to get out of his Country which was Ur of the Chaldees, and Ur of the Chaldees would be in southern Iraq today. And the Lord said to Abraham, leave the Land where you were born, and leave your father’s house and go to the Land that I will show you. Now the word show as in, The Land that I will show you, comes from the Hebrew word rah ah which also means, provide and give. Thus the Lord God had said to Abram, Go to the Land that I will show you, provide for you and give to you. The Land today is Eretz Yisrael, the Land of Israel. In Abram’s day, it was the Land of Canaan. Which brings us to Genesis 12.7. The Lord Yehhovah is Yeshua the Messiah Who appeared to Abram. It is Yeshua the Messiah Who is also God Almighty Who gave the Land of Israel to the Jewish People forever. Abram prayed to the Lord, and called on Him, no doubt asking Him for guidance and other things pertaining to life. The word Journeyed comes from the Hebrew word Nah sas meaning, To pull up the tent stakes and start a journey. The word Famine comes from the Hebrew word Rah ahv meaning, Hunger, and it can be an extreme scarcity of food. So it seems that when Abram and those with him entered Canaan, there was a severe famine in the Land, and Abram made the decision to leave Canaan and go down to Egypt where he felt life would be better. And this was a real test of obedience that the Lord God had presented to Abram. So Abram and all those with him went down to Egypt to sojourn there. That is, to live there. However, Egypt was not the Land that God told Abram to go to. It was Canaan. God never told Abram to go to Egypt. So Abram and all with him went down to Egypt and he got himself in all kinds of trouble there. The Egyptians took Abram’s wife Sarai and brought her to Pharaoh’s house. Yes, we know Abram told her to say she was his sister. Well she was also his sister. Genesis 20.12 says, Sarah was the daughter of Abraham’s father, but not the daughter of his mother. But that’s not the point here. The Lord had to plague Pharaoh and all his family to get creepy and greedy Pharaoh to send Sari back to her husband Abram. Here’s the point. The essence of this event. God put Abram to the test. God sent Abram to Canaan, a Land He provided for him. But there was a famine there, a severe famine and the test was this. Would Abram obey God and stay in Canaan, or would he disobey God and go down to Egypt because life in Canaan would be too tough with there being a famine there. Maybe Abram thought, we’ll starve to death here in Canaan. Maybe God won’t provide for us and feed us. Egypt looks better. So Abram disobeyed God. He failed the test, just like so many of us fail various tests when the Lord examines us. He failed to do what God told him to do. Go to Canaan, not Egypt. So I have a question. When it comes to making decisions in our life, and we have many, How do we know the Lord has told us to do it? Or has the Lord told us not to do it? That is, Are we doing what God would have us to do? Of course we should always pray to the Lord and ask Him for guidance, which I do often, but perhaps not enough. But God doesn’t always answer me in a voice. Lord, I asked, Should we move to Las Vegas and start a Messianic Congregation there? I was hoping He would say, Sure, go and I will provide you with a Congregation of 20,000. Well, we’re not even close. But we moved here anyway, and it was the right move. We should always seek the Lord for everything. Especially when making important decisions in our life. God told Isaac not to go to Egypt but to stay in Canaan. Isaac obeyed God and God blessed him greatly. God performed all the blessings to Isaac that He promised him, because he obeyed the Lord His God. Thus, when we obey God, He blesses us. Often times events in life force us to act and make crucial decisions. But are we doing the right thing? Are we doing what the Lord would have us to do? Ruth a non Jewish woman made a major commitment in her life. To remain with her mother in law Naomi and go to Israel with her. And Ruth was blessed for that decision. She married Boaz, a relative of Naomi her mother in law’s husband. And Ruth became the Great Grand Mother of David, and an ancestor in the lineage of Messiah Yeshua. What about David’s decision to battle the giant Goliath. David was a man after God’s own heart. He loved God and obeyed Him. Jehoshaphat, King of Judah decided to go to war with Ahab, King of the northern Kingdom of Israel against Syria. Ahab was an evil guy who rejected God and His Law. God would call Ahab “Ungodly.” And that was a mistake on Jehoshaphat’s part. Ahab got killed and Jehoshaphat was scolded by a Prophet of God. But God saw the good in Jehoshaphat. And the great and wrong decision of Adam and Eve. They failed badly. They flat out disobeyed God as most people do. And, we should all learn from this failure but most won’t and don’t. So many people tell us why we should disobey God because the Law is dead. They tell us by obeying God’s Law of Moses we’ve become a legalist or a judaizer or we’re going to lose our salvation for obeying God. Hey, that’s scary stuff and should scare you pretty good. Well, these people who find fault in us, whose work are they doing anyway? It sure isn’t the work of the Lord God, and they sure didn’t learn that from the God of Israel. They learn that stuff from somewhere else. So, why does God test us? Why does He examine us and put us through trials that at times are tough to handle? The answer. To see if we will obey Him or not. Obedience to God is the single most important teaching in the Bible. Believing in Yeshua is obedience to God, Jeremiah 31.31-34, etc. And obeying God’s Law, the Law of Moses, is obedience to God and critical in our life, whether we are Jewish or not. The Lord teaches us throughout Scripture that He will bless us and give us good success if we obey Him. Yeshua did not teach His Disciples Sunday Sabbath or that the Law was dead. He did not teach them about Christmas or Christmas trees, or Easter or Easter bunnies. He taught them about Himself and the Law of Moses. He in fact never taught them that His name was Jesus or His Title was Christ. Where did that come from? He taught them that His name is Yeshua, meaning salvation, and His title was Messiah or Anointed One. He taught them the truth. Those telling us the Law is dead, don’t know the truth of God’s Word, and that’s sad. Those who will enter into Heaven must on this earth obey the Law of God, the Law of Moses. That is what our Messiah teaches. Our example to follow, is Abraham. After all, if we obey as Abraham obeyed, we are the children of Abraham. This is precisely what Paul teaches in Galatians 3.7. So, you might say, Hey, I’m a Believer in Yeshua. What does obedience to Torah, the Law of Moses have to do with me making decisions in my life? I’ll tell you why. Because God will always work your decisions together for your good, whether they were right or wrong, because you obeyed the Lord your God, you obeyed His Law of Moses. All things work together means; All those decisions you make, even all things that happen in your life, will provide and accomplish good. Good for you and good for God according to His purpose. To those who love God and are called. So what does it mean to love God and to be called? Because that is God’s requirement for having all things work together for good in your life. What does it mean to love God? Loving God means Obeying Him, His Torah, His Law, His Law of Moses. And notice in John 14.16. The Lord God will give you the Comforter, the Holy Spirit, IF you Obey Him. And in Verse 24, Those who do not love Yeshua, do not keep His sayings, that is His Doctrine and Word. Yeshua is Yehhovah, El Shady, the God of Israel. Yeshua is not part of the Trinity. He is The Trinity. He is the Father, The Son and The Holy Spirit. And how do we know we are The Called? We know we are Called by God if we Obey Him, If we Obey His Torah, the Law of Moses. It’s that simple. I must say at this point, we don’t have that very large Congregation, but we did learn the truth from the work of our Congregation. And the truth is this. Yeshua is the Messiah and God we know it is a requirement of God to Obey His Law of Moses. God said in Luke 4.4, It is written (In the Law, in Deuteronomy 8.3), that man does not live by bread alone, but by every Word of God. So the question is this. How do we know what the Lord has commanded us to do or not do? Everything we do in life should always be according to Torah, The Law of Moses. That is, if what we are going to do is in line with God’s Law of Moses, It is okay to do it. It may succeed. If what you will do Breaks God’s Law of Moses, Don’t do it. In a lot of our decisions, not all things we do turn to success, even when we’re obedient to Torah. In fact, many of our decisions may turn to failure. But remember what Paul writes in Romans 8.28. And we know that all things work together for good, to them that love God, to them who are the called according to God’s purpose. Loving God is obeying God. Obeying His Law of Moses. And the called of God also obey God, His Law of Moses. Listen! Then you can be sure that all things you do whether they succeed or not, will work in your life for good, as it did for Abraham, because you love God and Messiah and you obey His Law of Moses. The Lord God had said to Abram, Leave your country, which was in Ur of the Chaldees, today’s Iraq in the south, and leave your family, and go to a Land that I will show you. That Land was Canaan, today’s Israel. So Abram took his wife Sarai and his nephew Lot and his servants and all their possessions, and left for Canaan. Sheh khem would be in central Israel, perhaps in the West Bank near the Jordan River. The Plain of Moreh or an oak tree in Moreh not far from Shekhem. Yeshua is the Lord Yehovah Who appeared to Abram. Yeshua is Yehovah and He is El Shady Almighty God. This is Yeshua the Messiah Who is Yehovah, Who again appeared to Abraham. Yeshua told the Jewish folk, Abraham rejoiced when he saw Me, telling them He is I Am. It’s important, yes, of great importance to know that Yeshua is God. Why? Because God never changes and He never changes His Word. We are told too often by Christians and Jewish people who say they believe in Messiah Yeshua, that God has changed His Word. They say, Saturday is no longer Sabbath, Sunday is. The food laws of Leviticus 11 and Deuteronomy 14 have gone the way of the dinosaurs to extinction. The Festivals of God such as Passover and The Day of Atonement and all the Feasts of Leviticus 23 are dead and gone. Let me tell you something. That doctrine is not of God but from the enemy who robs, kills and destroys. And I’m talking about your Salvation. Look at the following Scriptures telling us God Never Changes. The word Stand in Hebrew is; Koom meaning, Continues, Decree, that is, God’s Word is Law. Stand means, Endures, Remains, His Word is Established and His Word Succeeds. God’s Word Stands and remains forever. The smallest letter and the smallest stroke in the Law will never disappear until all is fulfilled. That is, not one word will be added or subtracted or removed from the Law of Moses as long as we live and breathe on this earth and into eternity. The Law of Moses, which is God’s Word, never changes. It stands forever. God’s Word is the same yesterday, today and forever. The word Same means, Never changes. God’s Word never changes. Remember that when someone tells you it’s okay for you Not to obey the Law of Moses or eat a ham sandwich, they have no knowledge of God. God’s Law is for you and all the World and if you are a Believer in Jesus the Messiah Who is also God, you should serve Him Correctly as the Bible teaches, not as man teaches. The Land of Israel belongs to the Jewish People forever. Last week we studied the dimensions or the size of Israel from Genesis 15.18-21, and we learned that the boundary lines for Israel are a lot larger then they are today. The Land that God gave Israel includes all of today’s Israel, including Gaza, the West Bank, all of Jerusalem, plus the Land of Egypt up to the Nile River, including the Sinai Peninsula; also Lebanon, Jordan, much of Syria and Iraq up to the Euphrates River, and possibly a small portion of Saudi Arabia. I may be a little too generous with these dimensions, but God’s final borders for Israel will be fully realized when the Lord returns to set up His Messianic Kingdom in Israel and establish His Throne in Jerusalem. Now we all know that the 1,000 year Millennium or the Millennial Age will be in Israel. And we all know that the Lord and Messiah Yeshua will reign in Israel’s Capital Jerusalem. What most of us don’t know is the size of the Messianic Kingdom, future Israel. Meaning, How big will it be? Will it be large enough to house the Church of all Christians throughout the Church Age, or about 1,700 years of Christianity, plus Jewish Believers and Others? Church Doctrine teaches that all Christian Saints who believe in Jesus Christ will be resurrected or raptured and at some point in time will live in the Kingdom, the future Millennium in Israel for 1,000 Years after Christ has destroyed His enemies and Satan. Let’s look at some Scriptures that confirm the Millennium will be in Israel. Verse 5 All His Saints. In Hebrew; Kal Kah do sheem. Saints or Kah do sheem are Holy Beings. Those who are Sacred and Holy, and also God’s Angels are Kah do sheem. All who have faith in Messiah Yeshua and obey the Laws of God, The Law of Moses are Saints, Kahdosheem..
Verse 9 Messiah will reign physically and visually on earth and will rule the entire earth. Now the question is this. Will the Land of Israel in the future Millennium be large enough to house the Church? Doing a rough calculation of the size of Israel in the future Millennium, and let me say it’s not exactly accurate; taking the dimensions of Israel, Jordan, Lebanon, and portions of Syria, Iraq, Egypt and Saudi Arabia, Israel will be about 360,000 square miles. Today, Israel is 7,876 square miles or Israel will be about 45 times larger then it is today. For comparisons, The United States is 3,536,278 square miles or about 10 times larger then the future Millennial Israel. Mexico is twice the size of the future Millennial Israel. Nevada and Texas together are about the size of the future Millennial Israel. Now Christianity teaches, if you believe in Jesus Christ you are saved and will enter into the Millennium and then after 1,000 years, you will happily enter into Heaven forever. Don’t worry about the Law of Moses, they say. It’s dead. It’s no longer in use. It doesn’t affect you, Jesus nailed it to the Cross when He was Crucified. Brilliant teaching, but it’s a lie. The Law is for everybody and believers in Christ should know that. There are about 2 billion Christians in the world today. Let’s say the Church Age is 1,700 years, from 300AD to today. So if we included all Christians living and dead who will enter the Millennium by resurrection or rapture, and let’s say a generation of Christians is 80 years. 1,700 years divided by 80 generations of Christians equal 21.25 generations of 2 billion Christians or a grand total of 42 billion 500 million Christians squeezing into Millennial Israel, the Messianic Kingdom. Not including Jewish Believers and others. It doesn’t appear so comfortable. Sort of like being on a huge over crowded elevator. Today’s world population is 6 billion people. God would have to make about 7 more worlds to accommodate all these people. But He won’t. Let’s get real. God Who is Yeshua or Jesus and is not part of the Trinity but is the Trinity, has very strict written requirements that He teaches throughout His Word, The Bible, telling us what He requires from all of us whether we are Jewish or not Jewish, to enter into the Millennium. And He tells us often, It’s a Remnant, a small number of people who will enter. Why? because most people disregard, reject and cast off God’s Teachings and Laws. So let’s see what God the Messiah Yeshua says about The Remnant. The word few in Greek is Oligos; meaning Puny and Small. Strait – Stenos – Narrow from obstacles standing close about. The obstacles? 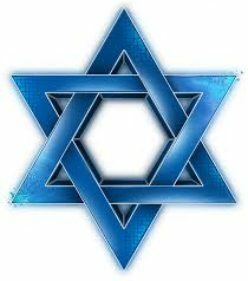 As a Jew I hear from other Jewish people that Yeshua is not Messiah. And I’m a traitor, a Christian and have left the faith, etc. For Christians, The law doesn’t apply to you. If it applies to anyone, it’s for the Jews, Only. You will lose your salvation trying to obey the Law. That’s works. Your a Legalist ,a Judaizer, you’re crazy, etc. Oh really, we don’t have to work to enter the Kingdom of Heaven? Work is involved and that work is obeying God and not the Church Fathers who invented their own doctrine contradictory to God’s doctrine. Strive in Greek is Agonizomai meaning; To struggle, to contend with an adversary (those who tell you the Law is dead), fight, labor, strive. It takes an effort and obeying God takes an effort in this world. Don’t buy that nonsense we don’t have to work to get in the Kingdom. It takes Agonizomai. Why then will so few find the Gate that leads to Life? Iniquity in Greek as in, Depart from Me you that work iniquity, is Anomia. Anomia means Violation of the Law of Moses or transgressing the Law of Moses. Simply said, Not obeying the Law of Moses. Messiah did not come to destroy the Law or the Prophets. He came to complete it. The New Testament or New Covenant is part of the Law and the Law was not complete until Messiah came. The only people who will find the gate that leads to life are those Believers in Messiah Yeshua, Jesus who obey the Laws of God which are written in the Book of the Law which we know as the Law of Moses. These are God’s Laws or Yeshua’s Laws we are to follow, all of us, Jew or Gentile. There are some other Laws. The Festivals of the Lord. They are not Jewish Holidays, they are God’s Festivals. Leviticus 23. See verse 2. No Magic, no magic books, no magic films, no magic of any kind or anything concerning magic. Thus the Millennium in Israel will be massive because all who enter will be Kahdosheem, Saints, Holy, Sacred, Holy Beings, obedient to God, serving God and worshipping Him. And we will be a blessing. A blessing to God, to other nations or Gentiles and to ourselves. The 144,000 Jews will lead many to salvation during the great tribulation by teaching the Truth. The truth is this. Yeshua is the Messiah and God. And all must obey God’s Torah, His Law of Moses. And as a point of information, New Jerusalem or the city that will come down from Heaven after the !,000 year Millennium ends, will be a lot larger then the future Israel. One reason, I think, is because we will be involved in many coming to salvation in Messiah outside of the Kingdom. New Jerusalem; Revelation 21.16: 1,500 square miles times 1,500 square miles equals 2,250,000 square miles. The United States without Alaska is 2,900,000 square miles. So, only those who believe in Yeshua the Messiah and obey the Laws of God will enter the Millennium and Heaven. He or she that has ears to hear, let them hear. Then you will be a blessing to the Lord Your God, the God of Israel Who is Yeshua the Messiah. And you will be a blessing to others, to yourself, and your name will be great, because your name is written in Heaven.